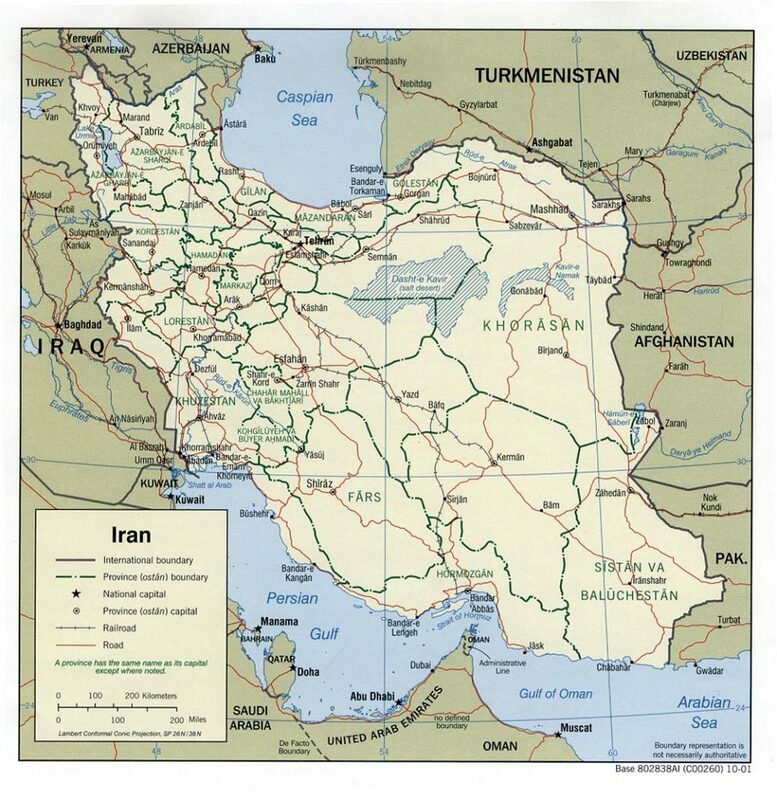 Iran is bordered by seven states: Iraq, Turkey, Azerbaijan and Armenia to the west and northwest, Turkmenistan to the northeast and east, and Afghanistan and Pakistan to the east and southeast. About two thirds of the territory of Iran are characterized by the highlands of Iran. The highlands are bounded on the west, southwest and south by the mountain ranges Zagros and Kuhrud. These huge mountain ranges consist of several mountains running side by side in northwest-southeastern direction, between which are very steep valleys. Its highest peaks are the Zard Kuh (4.571 m) and the Cow-e-Dinar (4.432 m). The north of Iran is characterized by mountains as well. In the northwest dominates the Armenian-Azerbaijani mountain knot with the great basin of Lake Urmia. This is followed by the Elburs-Kopet-Dag system, which extends 1200 km from the Talysch Mountains to the Turkmen border. Here one can find the highest mountain of the Middle East, the dormant, glacier-covered volcano Damavand (5.670m), as well as the 4.800 m high Alam-Kuh. There are only a few lowlands in Iran. On the southern shore of the Caspian Sea is a 600 km long, but only a few kilometers wide stretch of coastal lowland. On its eastern side, the Turkmen steppe joins in, in the west the Mugan steppe. In the southwest, a small part of the Mesopotamian lowlands belongs to Iran, from there runs a narrow, shallow, but barren coastal border along the Persian Gulf. 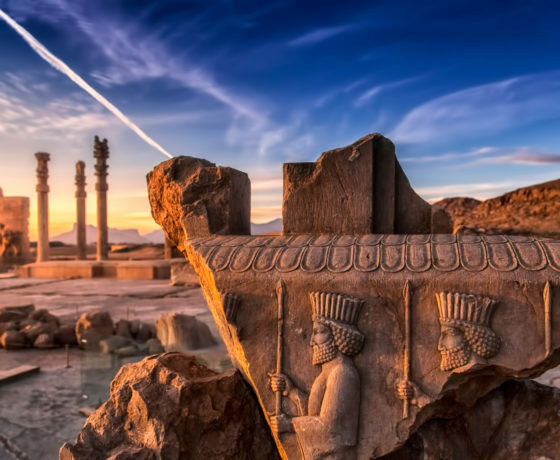 The best time to travel to Iran depends heavily on what kind of travel you are planning and where you are intending to go. In general, the months from late October to early May are among the best months for traveling. 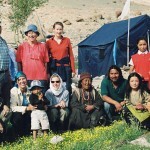 For trekkers and mountaineers the summer months, June to August, could be more suitable. 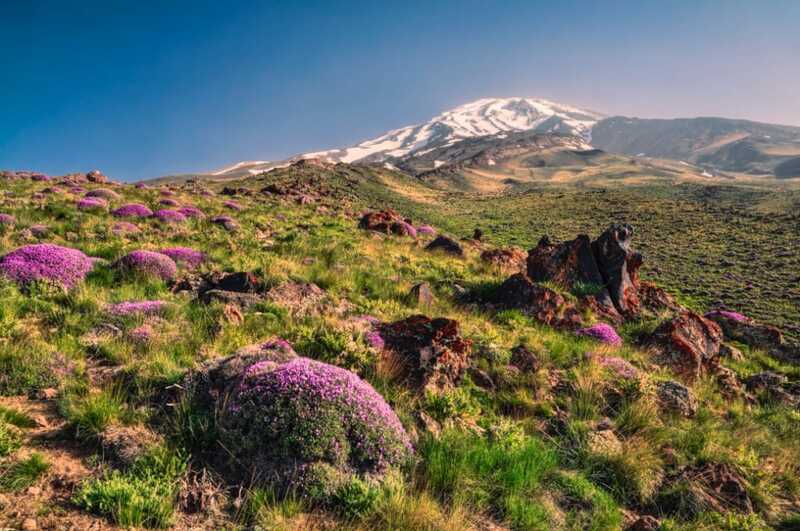 If you plan to climb Damavand, you should come in the snow-free months, June to August. For cultural and hiking tours, spring and autumn are very charming. Due to the different altitudes from sea level to high alpine locations, the climate zones are very different. 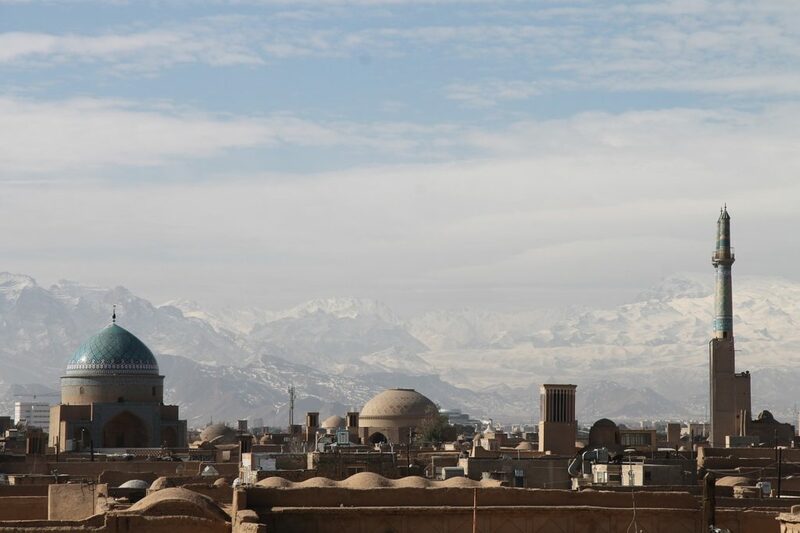 From alpine, continental to subtropical, Iran has many climates to offer. The capital Teheran is located at about 1,000m and has a similar climate like in Central Europe with snow in winters and quite hot summers. The highlands in the center of the country are characterized by hot, dry summers with average temperatures of 25 – 30 ° C and by cold, dry winters averaging 2 ° C.
Temperature fluctuations of up to 40 ° C in the course of the day and year are quite possible here. The highlands are deserts with low rainfall and almost always cloudless. In the northern and western mountain regions, an alpine climate makes everyday life. Here one can expect more rain or snow in higher altitudes in winter. In January, the temperatures are often below freezing. The southern Caspian coastal lowlands has a pleasantly mild, humid-temperate climate. 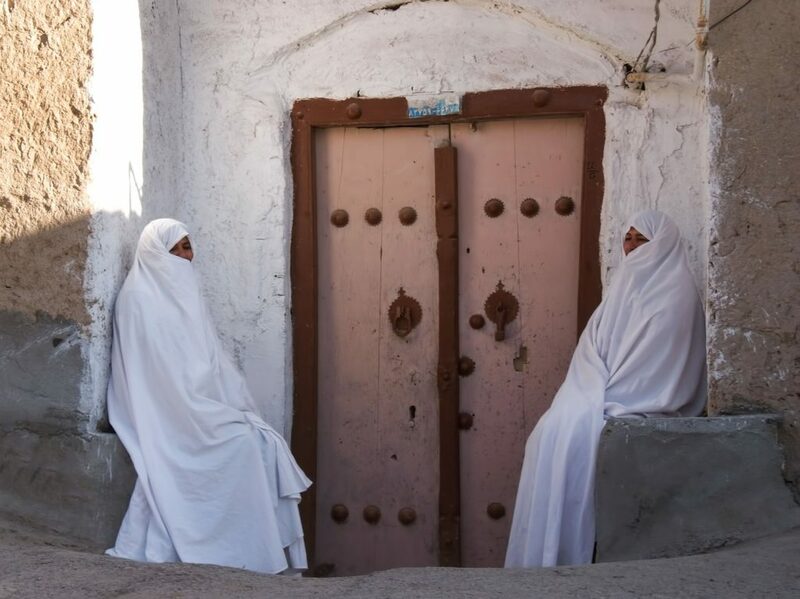 In the lowlands of the Persian Gulf the summers are dry, humid and hot, and the winters pleasantly mild. To enter Iran EU-Citizens and many other nationals require a passport valid for at least six months from the date of entry, as well as a visa. Attention: If you have a stamp of Israel in your passport, we recommend you get a new passport issued, as the visa will be refused in this case. If you book a trip with us, we will help you to obtain the visa. 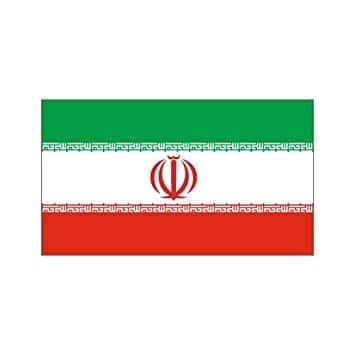 Our partner in Iran sends us a reference number with which you have two options. 2. You get your visa in advance from the Embassy of Islamic Republic of Iran in your home country. As with all long-distance travel, many diseases can be avoided by simple precautious measures. The tap water should not be drunk, instead water from bottled water and/or boiled water and fruits and vegetables should be eaten only washed or peeled. In general, the healthcare sector in Iran is quite well developed. Especially in larger cities there are good doctors and pharmacies. Due to economic blockades, there may be bottlenecks for special medicines. Here it is advisable to bring your own important medicines. Before traveling to Iran you should visit your doctor or tropical institute and discuss possible vaccinations. It is highly recommended that you revitalize immunizations against diphtheria, tetanus, polio and hepatitis A + B. 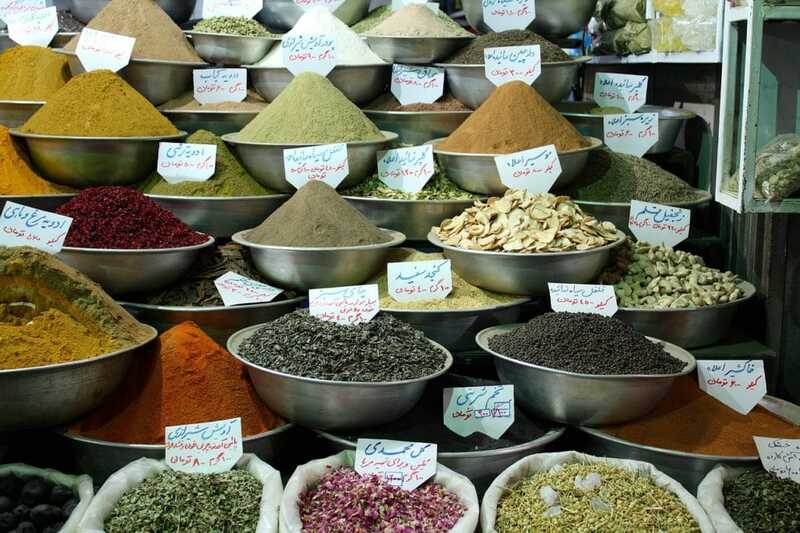 On your trip to Iran, there can be recurrent gastrointestinal problems, simply because the european stomach is not used to the new food and spices or because you have consumed dirty water and / or bad food. Eat only boiled, well-cooked food, skip ice, open fruit juices, raw unshelled fruit and vegetables and milk. Partly the sun exposure is very high and unusual for Central Europeans. Therefore, we recommend you to bring hat and sunglasses, as well as a good sunscreen! The Persian cuisine is a real treat. It is very similar to Indian cuisine in many ways, but not so spicy. In addition, it is extremely healthy and rich in vitamins. 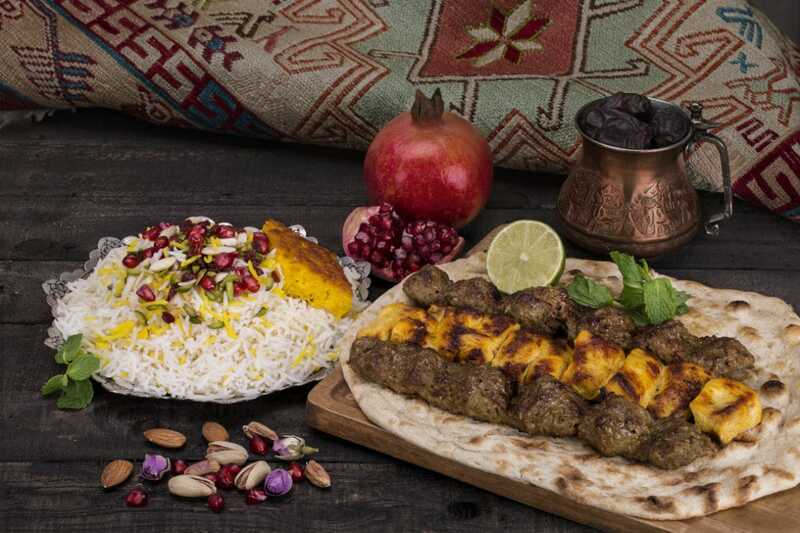 The most important ingredients of Iranian dishes are rice, bread, fresh herbs, sheep, beef, chicken and a wide range of spices. In Iran you eat with a spoon and a fork, a knife is not used. With food you drink water and / or fruit juices. Otherwise Iranians love to drink tea, or in the hot season Dugh, a cool drink of yogurt, water, salt and mint.